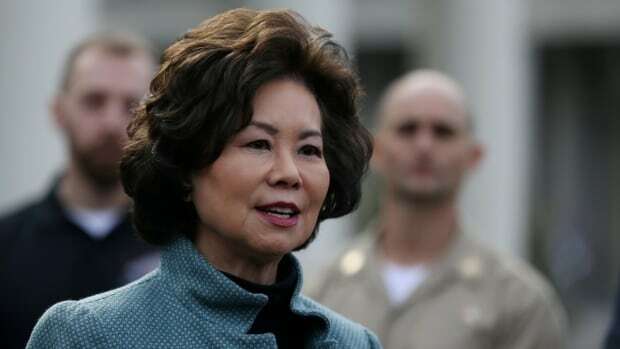 U.S. Transportation Secretary Elaine Chao said today ahead of a Senate hearing that it’s “very questionable” why some safety features were not required on Boeing 737 Max planes in light of two recent crashes. Chao stopped short of saying the government would require retrofitting of all aircraft with new safety features. Reuters reported last week that Boeing plans to mandate a previously optional cockpit warning light as part of a software update to the 737 Max fleet that was grounded. That feature might have warned earlier of problems that possibly played a role in the crashes of Ethiopian and Indonesian planes that killed almost 350 people. Sen. Joe Manchin, a West Virginia Democrat and pilot, asked Chao why it took the Federal Aviation Administration so long to ground the 737 Max while regulators around the world moved faster to halt planes. He also questioned why safety features were not mandated by Boeing or the FAA. “It looks like we are following,” Manchin said, adding it was “just wrong” not to require the alert. Chao defended the FAA’s decision-making as a “fact-based” review, and decided to ground the planes after it received new satellite data and evidence at the scene. The FAA has said it will review the software upgrade and plans to mandate it by April, but has emphasized it will not agree to unground the planes until it has more details about what led to the March 10 Ethiopian Airlines crash. Sen. Ted Cruz, a Texas Republican, will chair the hearing later on Wednesday. “Another major area of inquiry is the process of certification of the 737 Max to begin with,” he said on CNBC.